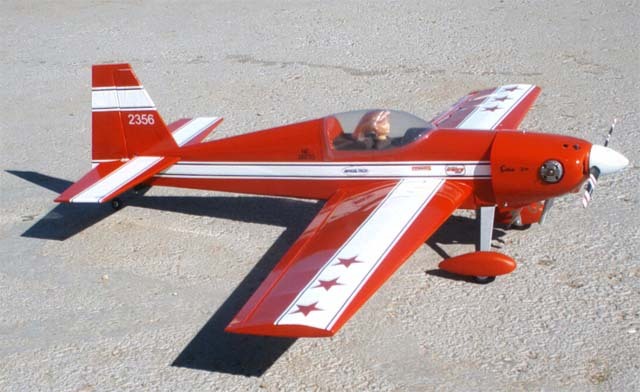 My first scale scale plane was Modeltech Extra 300 ARF. 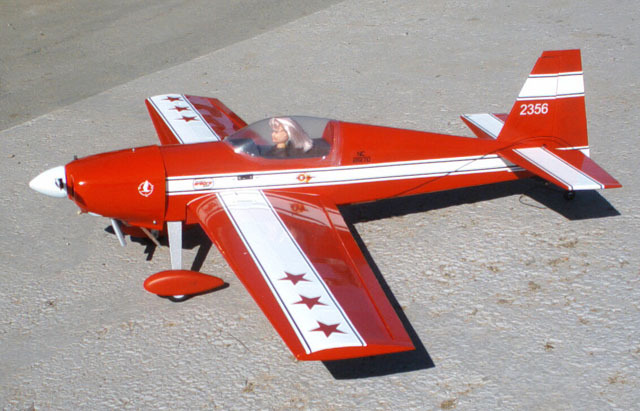 It was not only very nice looking but good flying model too. Powerful glow engine Webra 32 equipped with Pitts style muffler made this plane a great performer. Scale appearance completed cute looking blond pilot. 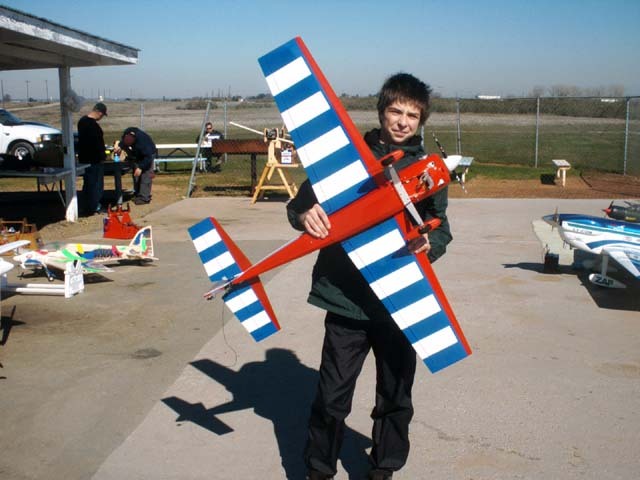 I have finished the model with no modifications except reinventing the tail wheel mounting. 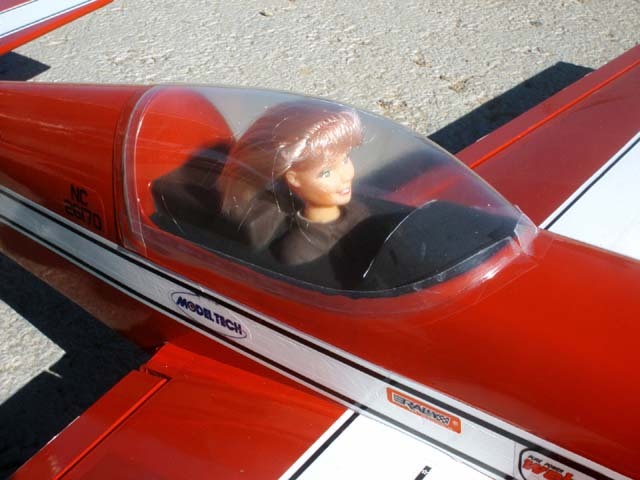 4 cell NiCd battery powered Hitec 5-channel receiver, 3 standard servos for control surfaces and HS-81 for throttle. Unfortunately I had no chance to enjoy flying that model for long. After less than 10 flights unknown radio problem caused complete lost control and Extra went from 200ft straight down to the ground. 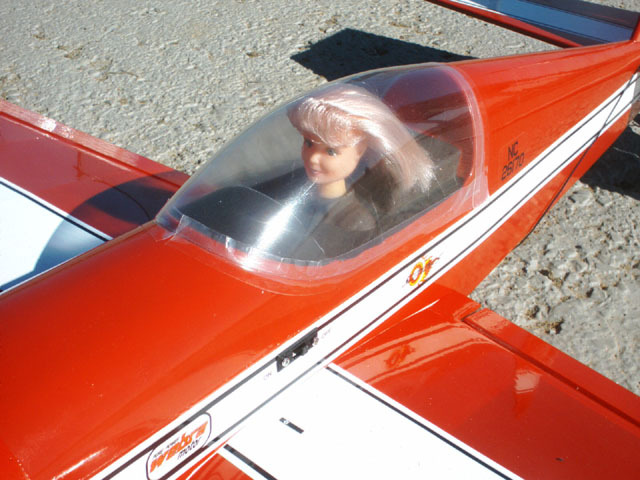 Some people say that the "blond pilot" was to blame for the crash. I was able to salvage Webra 32 motor, which after cleaning and replacing both bearing still works like new. The rest of the model was total loss. R.I.P.